Rob is so taken with the building process, he is now president of the Canadian Passive House Institute West, and Mark is committed to building more of these homes. He has already built a three-storey, six-unit condo on Queens Avenue that quickly sold out, and is now breaking ground for a duplex in Vic West. They have a list of 120 people wanting to learn more, said Rob, who raised his family in the north Okanagan. He originally practised law but retired early and got involved in the design and construction of international sport-competition venues. Besides wanting their home to be highly energy efficient, the father and son (and wives Susan and Julie) also wanted it to be multi-generational. So the building is divided roughly in half, with Mark, Julie and their two young boys upstairs, and the grandparents living on the lower floor. Nothing about the house sets it apart visually from its neighbours — except perhaps the fact there is never any steam on the windows, joked Rob. He explained that’s because no inside surface is cool enough to cause condensation. The building envelope is tightly sealed, but there will never be any mould or mildew, because moisture cannot leak into the walls, thanks to an efficient vapour barrier. A heat recovery ventilator (HRV) brings fresh air inside and heats it, while extracting stale air from high-humidity areas such as the kitchen, bathrooms and laundry. All of the air is replaced every two to three hours and the home feels incredibly warm and comfortable. Its walls are 30 centimetres thick, the foundation rests on 40.5 centimetres of foam insulation, the triple-pane doors and windows are 7.5 centimetres thick and ceiling insulation has an R-value of more than 40. The owners decided to put in-floor heating in the bathrooms for added comfort, but the rest of the house is heated by a small coil in the HRV about the size of a couple of big-city telephone books. Rob stressed the home’s performance is based on detailed energy models and careful construction. The wall assembly features a two-by-eight wood-frame structural wall with plywood sheathing on the exterior, while the interior is sheathed in OSB board with the cavity filled with dense-pack cellulose insulation. A second, lightweight, non-structural service cavity measuring five by 10 centimetres was installed on the inside for electrical, plumbing and ventilation services and this layer was insulated with mineral wool bats before drywall. 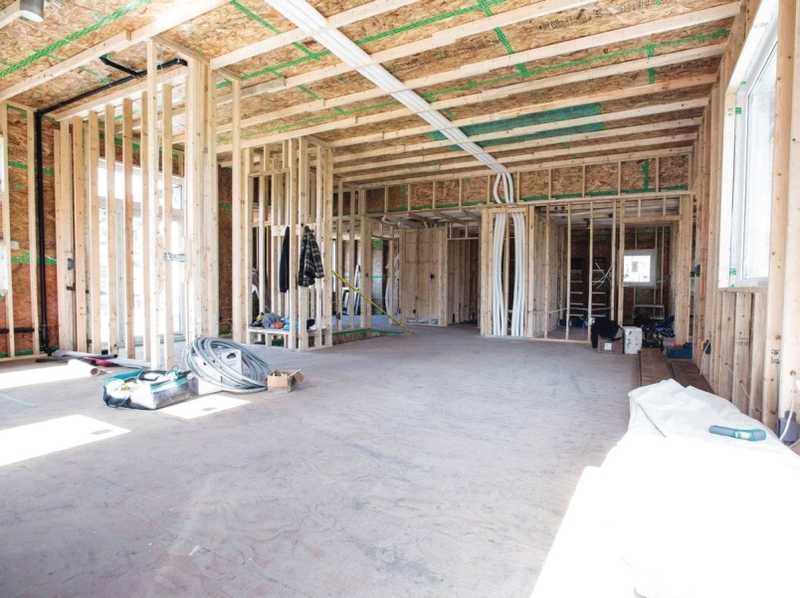 “The OSB is the vapour and air barrier and the joints are sealed using high-performance air sealing tape,” said Rob, who now works with provincial and local governments on a variety of policy and energy-efficiency initiatives. He has served on the mayor’s Affordable Housing Task Force and is a member of the provincial Energy Efficiency Working Group Review Committee. Windows can be a huge factor in heat loss, so all of those in the home are triple-paned and engineered by EuroLine of Delta to a high-performance standard of thermal transmission. 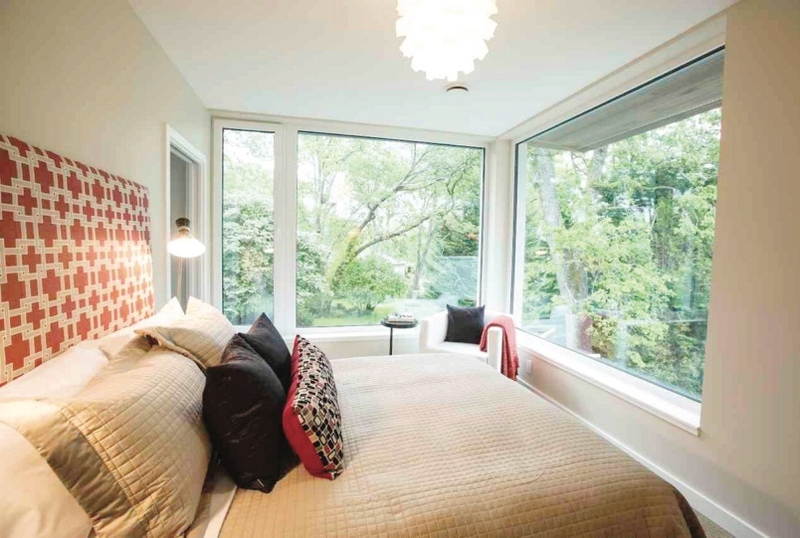 “EuroLine is the only domestic manufacturer in Canada producing windows of this standard, although a number of others have announced the intention,” he said. All the windows and doors also have multi-point locking mechanisms and closing the front door is like sealing a vault. “There is a long list of elements that make this home special, but the primary improvement relates to the envelope,” said Mark, who said it’s as if the house is wrapped in a huge quilt. Rob and Mark became absorbed by the idea of a truly passive, energy-efficient house several years ago, but found none were available locally, and most builders they spoke to scoffed at the idea, saying it was too difficult or too expensive. So they studied the principles and took courses. Mark decided to build it himself. After moving here, he decided to combine his passions of building and the environment. Bernhardt Contracting Ltd. is one of the first construction companies in Canada to have multiple staff trained in Passive House design, construction and certification, but that number is growing. There are currently six such projects being designed in Victoria, including three by Bernhardt. “People are eager to work on high-performance buildings and with our experience, we can help architects, builders and designers reach their efficiency goals,” said Rob. The Passive House standard is a building energy-efficiency standard known for offering better comfort, indoor air quality, affordability and durability. Developed by European building scientists, the standard places stringent limits on the amount of heating and cooling energy a building can use. 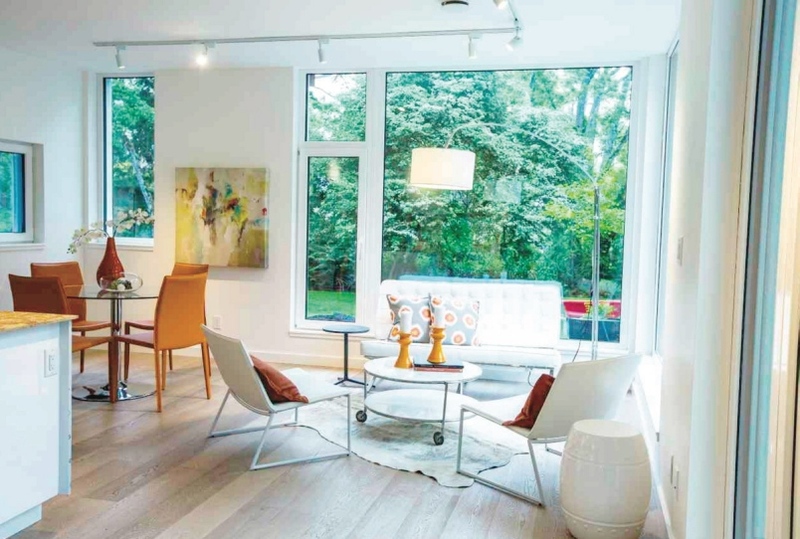 A Passive House can be any type of building, residential or non-residential, but must not consume more than 15 kilowatt hours per square metre per year for heating or cooling energy, said Rob Bernhardt. The total energy consumed for all purposes, including hot water, lighting and electrical outlet loads, is also limited to ensure efficient design of all aspects of the building. The building must be designed to be thermal-bridge free, ensuring no inside surfaces can become cold enough for condensation or mildew to form, even on windows. The standard specifies an air tightness many times higher than other building standards, to limit moisture damage and heat loss. A highly efficient — and silent — heat-recovery ventilation system is required and provides a constant supply of warm, fresh, filtered air to all parts of the building. The high-performance, triple-glazed windows are made by Euroline with a certified Passive House frame. The windows have high solar-heat-gain glass to enable them to act as thermal collectors when exposed to the winter sun. Such windows provide sufficient heat to heat a home on a clear day in the winter, even in a colder climate. All the owners were away for a week last winter and shut off everything but the two fridges. When they returned, the house had stabilized at a comfortable 16 C.
The design of the residence ensures the windows are shaded from summer sun to provide a comfortably cool environment in the warm weather. The result is a residence with very comfortable and stable temperatures year-round. Passive House windows are installed near the centre of the thermal envelope, rather than nailed to the building exterior, and thus offer substantially better thermal performance.